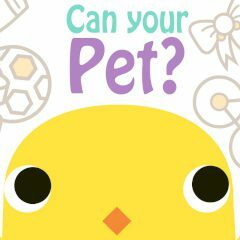 In this amazing game your goal is not only to feet your pet, but also to take care about him. Use all tips and you will do it without any efforts. Do not waste any minute and enjoy the game. So, hurry up! Do not let your little chicken be hungry! Now you have a great chance to take care about your own pet. Use all tips that you can see in your screen. As you know every little pet wants to eat, to take a shower and to play different games. Be hurry and feet your pet in time! We would like to propose you the most interesting game, but watch out, the end of this amazing game is really unexpected, so play it till the end and you will be very surprised! Invite your bests and play this game together. Be sure that you will be not disappointed. Be attentive and careful. We wish you good luck! Games Similar Can Your Pet?